ID: 198 ~ Source: Stewart, Kevin. “Saint Mary Magdalen Church - Abbeville LA.” Flickr, Yahoo!, 25 Nov. 2017, www.flickr.com/photos/kevystew/38642646431. 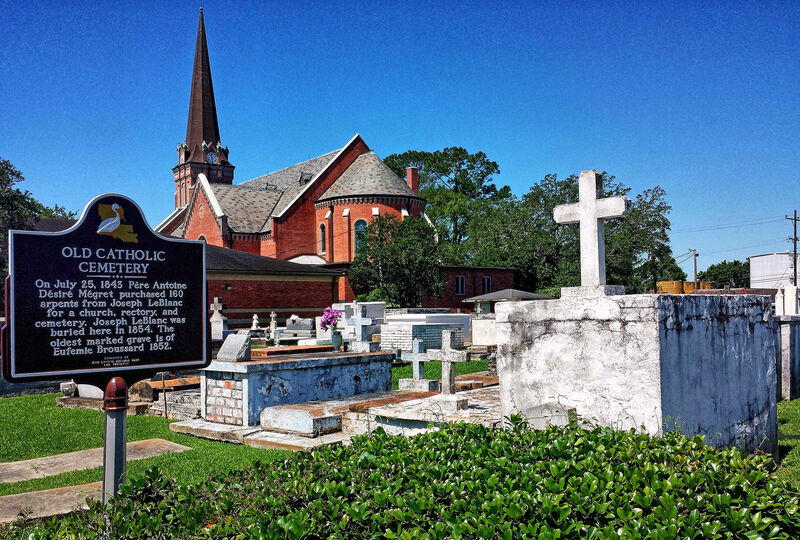 Though the church is relatively new, the cemetery, which dates back to 1855, retains centuries of tangible history.